Uttering the name Maserati guarantees to tug the heartstrings of most petrolheads. Almost as much as it tugs on the pursestrings. It is one of the all time great automotive marques that no matter what it produces, always causes a great deal of excitement. During its long and troubled life, the Italian firm has seen many highs and many lows. After Citroen ultimately failed during its ownership of Maserati, the exotic sports car outfit found itself in the hands of De Tomaso in 1975. In an effort to turn the firms fortunes around, the mid engine exotic super car market was surrendered to Ferrari and Lamborghini. The focus now, as laid out by De Tomaso, was on affordable, turbo charged front engine volume production cars. The new Maserati Biturbo shared much with the more upmarket Quattroporte III, especially the grill and quad headlights. Launched in 1981, the Maserati Biturbo was the first production car to offer a 2.0ltr V6 twin turbo engine. Developed to get around Italy’s expensive tax on big engined cars, the new quad cam 180BHP engine proved to be its greatest asset, while also proving to be one of its (many) Achilles heals. With coachwork designed by Pierangelo Andreani of De Tomaso, the Maserati Biturbo was offered in two door coupe, four door saloon and spyder configurations. 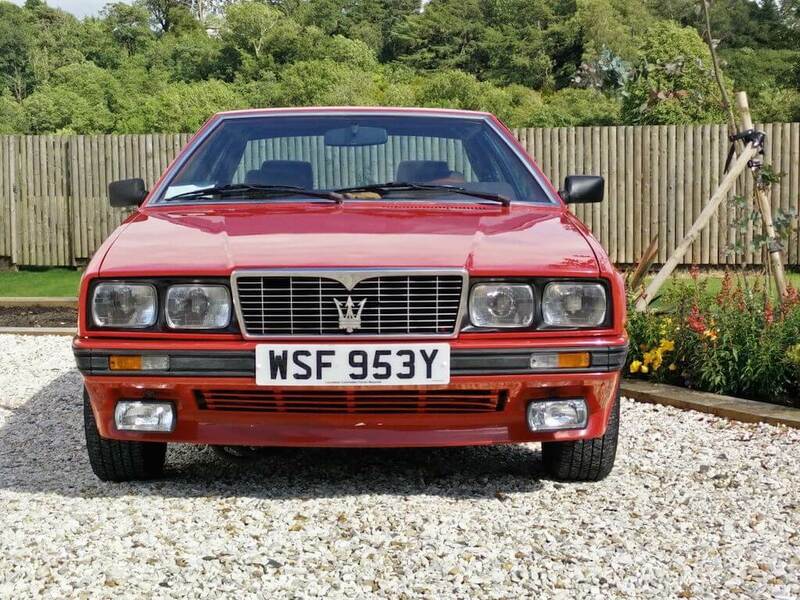 The square shaped design proved a hit with the Biturbo selling over 40,000 units, no doubt helped by the aspirational nature of the Maserati badge. Technically, it wasn’t particularly sophisticated, its V6 originating from the Citroen SM V6. The suspension was McPherson struts up front with semi-trailing arms at the rear. Power was sent to the rear wheels through a 3 speed automatic/ five speed manual gearbox, with disk brakes fitted all round. Despite the lack of sophistication, the Biturbo was well received and its underpinnings would form the basis for much of the Maserati line right up until the Ferrari guided Maserati 3200GT. Despite promising early sales and a luxurious cabin that rivaled the BMW 3 Series , the Maserati Biturbo was dogged with reliability issues throughout its life. First there were engine failures on early production cars. Then there was the rust. Added to this were a whole raft of electrical gremlins which overall contributed to a car that was rushed through development and was poorly built. Production of the Maserati Biturbo ended in 1994, bringing to a close what was ultimately a lost opportunity. The classic Maserati trident adorns the grill of the very square and understated Biturbo. 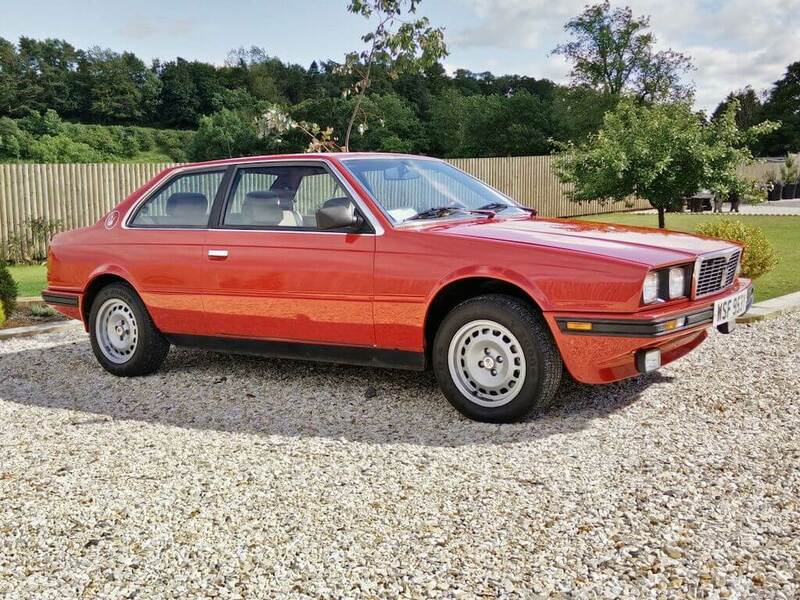 We have come across a very interesting manual LHD 1982 Maserati Biturbo for sale. 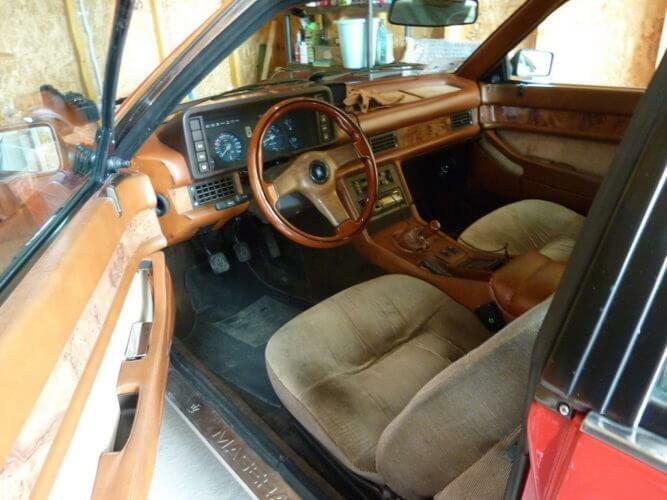 Imported to the UK in 1998 from Italy, this home market Biturbo is described as being in very good condition. The current owner purchased the car from a private collection in Edinburgh, where it had been stored since 2009. It has since been treated to a full recommissioning. The seller describes it as being almost rust free with some surface bubbles on the outer sills. The chassis, firewall and inner wings are said to be in excellent condition and have been protected with Waxoyl. 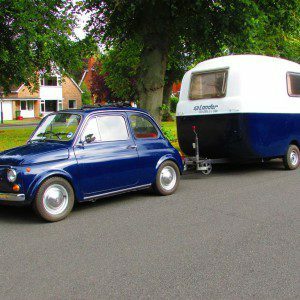 The car was resprayed in Italy but the current owner has had the bonnet, wings and drivers door redone. The interior is described as being good but requires some attention. It comes with history and some spares which includes a spare seat. This Biturbo looks very straight with shiny red paint and nice alloys. Spotting a cheap Maserati always leads to a dilemma. On the one hand, it is a cheap Maserati. 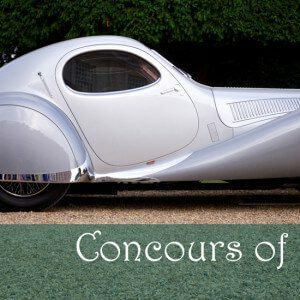 An opportunity to own a marque who’s name evokes so much racing heritage and prestige. It presents a chance to get on the ladder of Maserati ownership and to experience the rush of the famed Biturbo engine. But it also raises the specter of the dreaded Maserati reliability concerns. It almost seems to good to be true… says the voice of sensibility. With such a poor reputation, most rough Maserati Biturbo’s have long since been driven into the ground. Those that remain are generally well cared for examples. This particular Biturbo presents itself very well and appears to be in very good order. Spending much of its life in its homeland has certainly helped keep the rust at bay. And while in the UK, its time in storage has further reduced the risk of tin worm. Its wears its red paint very well, its smart alloys enhancing the sharp edged coupes profile. 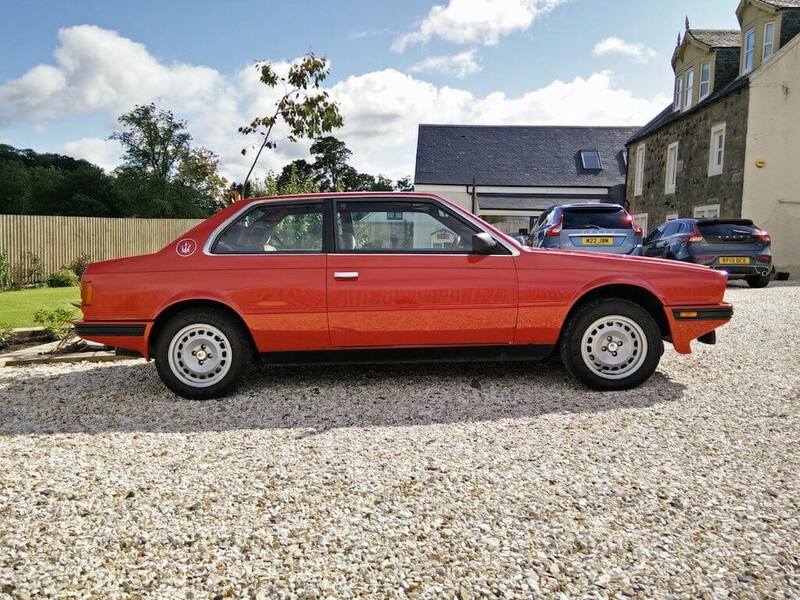 Often said to resemble the BMW 3 Series, the Maserati Biturbo design wasn’t exciting. But it has a certain exotic charm. We particularly like the fact that this one is a manual. Having full control over that twin turbo V6 is a tantalising prospect. The seller states that the V6 “pulls like a train” and can wheel spin in 3rd gear in the wet. We can easily believe this. Unfortunately no photos of the engine bay are provided but the recent recommissioning by Maserati specialists PK Supercars is reassuring. The Giulio Alfieri designed V6 engine is tough but needs to be looked after with regular changes of synthetic oil. Rebuilds can cost at least £6,000! This one has 47,000 on the clock. Assuming this is accurate it hasn’t lead a stressful life. On the inside the interior is all there. There is a tear in the drivers seat but a replacement is included in the sale. The interior needs a little detailing and there's a tear in the drivers seat. But it looks intact and well looked after. The dash pinnicale is not as refined as in later models. Good to see the original steering wheel hasn't been swapped out. With the total bill of its recommissioning and repairs running to £3873.65, the current owner has put a great deal into this car. Which is peace of mind for the next owner, knowing that the majority of the work has already been done. This is one of the cheapest Maserati’s we have seen for some time and we can’t deny that we’ve been tempted, especially at this price. 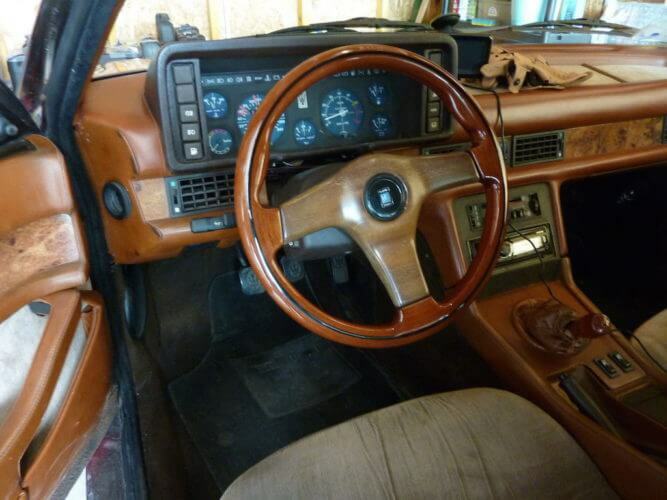 The steering wheel is on the wrong side but it is an early production survivor and a manual one at that. 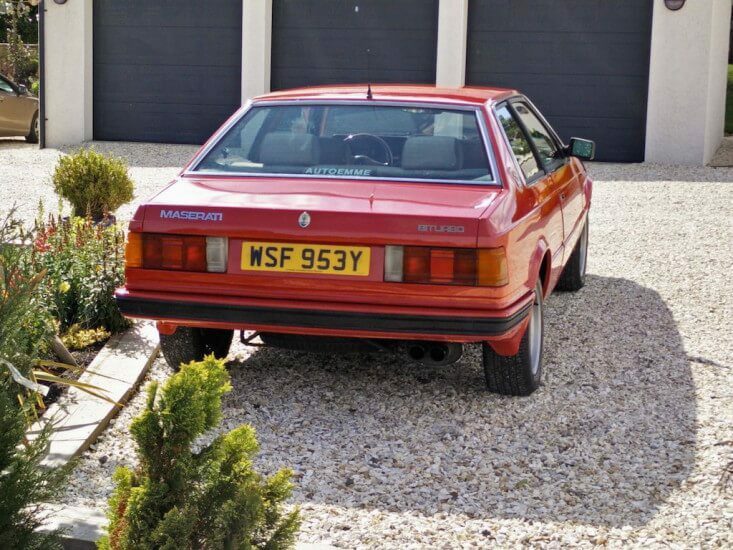 Which makes this a very rare Maserati Biturbo. As drivers go this looks a good one that can be improved over time. Where else can you get exotic Italian coupe looks with a 2.0 V6 manual for under £4,000? We’d snap this one up if we could. We’d just make sure we have a rainy day fund set aside… just in case. This Maserati Biturbo is located in Glasgow and has a Buy it Now price of £3,995 which is open to offers.